A war between men is coming, and Sam must pick a side. Will saving the kingdom cost her life–or just her heart? Whenever the president faces a national crisis, he always calls on his favorite canine team—the Power Puppies! However, no one ever expected the next emergency to be the dirty work of the president's own pet cats. But after seeing the Power Puppies on Ellen, their favorite show, the cats decide to put their paws down. 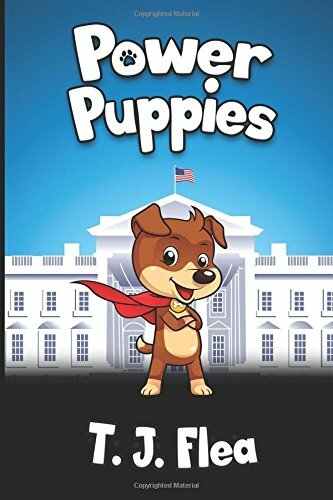 From dumping rotten fish into the Pup Park under the White House to stealing Power Puppy DNA, these feline fiends will stop at nothing to get on Ellen's show and one-up the pups. Will the Power Puppies be able to outwit these crazy cats, or will they be overcome by a supercharged cat army? Mike, Vizzi, Meg, Cami, Frost, Shatter, Scarlet Shimmers, Zip, and Otis have to take teamwork to the next level if they want to keep their positions as the president's top dogs! All publisher profits from sales of this book go to support the Humane Society of Indianapolis and other no-kill animal shelters. Contact us at info@perfect-analogy.com for information on purchasing books for resale. Special note about this book: Students often ask to launch learning projects, but when Hollie Vessels’s class of twenty-eight fifth graders begged her for a chance to write a novel, she knew this would be the most challenging request to date. Writing a book is a monumental enough task on its own, but collaborating with such a large group and ending up with a great book seemed impossible. But the enthusiasm was contagious. The young authors of Power Puppies started with hours of brainstorming, organizing, and cutting ideas until they had a list of characters and events that could be fit together with hard work. They spent several days creating the back stories for each character, carefully choosing the breeds of the animals that best matched their personalities and superpowers. When it was time to bring settings and plot elements together, students used online discussion boards, trading ideas and drafting bits and pieces. Partnerships were chosen to write specific scenes, and the next month was spent in student-teacher conferences, going over the drafts and suggesting revisions. In the end, Miss Vessels pieced together the ideas and drafts, added and connected scenes, and edited. This book was the result, and the students want to use their work to raise money for rescuing animals. This book is proof that anyone at any age can create something important and change the world.